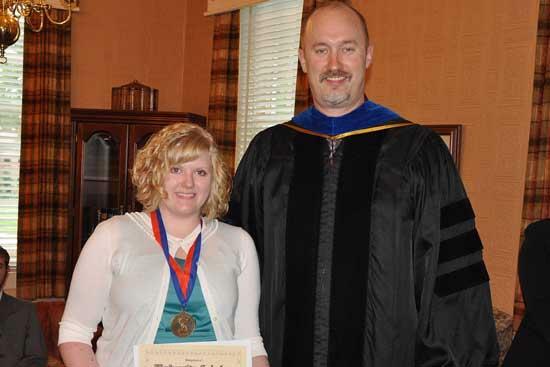 Brittney Reed, of Woodbury, was recognized May 14 for completing the University Scholars program at the University of Tennessee at Martin. Among the requirements is for each scholar to complete a senior project in cooperation with a faculty member. Dr. Lionel Crews, director of Honors Programs and associate professor of physics, joined Brittney, who received a bachelor’s degree later that day. She will continue her studies in the University of Washington at Seattle’s online Master’s of Library and Information Science. Brittney, What great Accomplishmnets !!!! I know your parents are so proud of you, you look beautiful! I am sure you will go far! Good Luck with your masters program!